… The [British] Ministry of Defence ran a UFO desk from 1952 until 2009; it was as underfunded as its American cousins, but it collected as many sightings (12,000) and was a bit more tolerant. Many of the MoD reports were accompanied by illustrations – diagrams, photos, sketches, even paintings – that were duly filed away. When the Freedom of Information Act was passed in 2000, the UFO desk was inundated with requests. The MoD knew better than to put up a fight. They’d seen nothing definite in over fifty years, so from one point of view the files were too trivial to hide. David Clarke, a lecturer in journalism at Sheffield Hallam University, was made a consultant at the National Archives, where he spent ten years overseeing the UFO files’ release. There may be no extraordinary revelations in them, in the sense a UFOlogist would like, but there are fruits of a different sort. 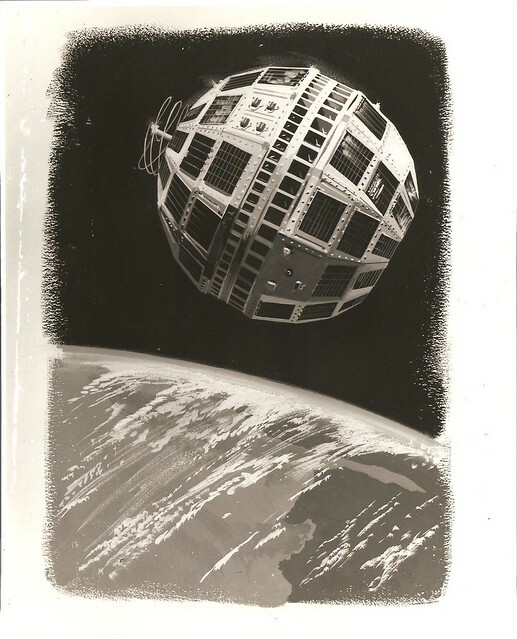 Clarke recently curated a peculiar and beautiful book called UFO Drawings from the National Archives, a showcase of the best ‘imaginative artwork’ sent to the MoD, ranging from scribbled crayon disks to diagrams in tidy pencil. As we scan the skies, we might recall that it was on this date in 1950 that the first rocket was launched from Cape Canaveral in Florida– the “Bumper 2,” a V-2 missile base topped with a WAC Corporal rocket. Analysis of an ancient codebreaking tablet has revealed that Babylonian astronomers had calculated the movements of Jupiter using an early form of geometric calculus some 1,400 years before we thought the technique was invented by the Europeans. Look more closely at the foundations of modern calculus at “This ancient Babylonian map of Jupiter just changed history as we know it.” And read the Science article reporting the findings here. As we calculate the differential, we might send radiant birthday greetings to James Alfred Van Allen; he was born on this date in 1914. A space scientist who learned to miniaturize electronics during World War II, he was instrumental in establishing the field of magnetospheric research in space, and led the scientific community for the inclusion of scientific research instruments on space satellites. The Van Allen radiation belts were named after him, following their discovery by his Geiger–Müller tube instruments in 1958 on the Explorer 1, Explorer 3, and Pioneer 3 satellites during the International Geophysical Year. When Voyager 1 and Voyager 2 launched into space in 1977, their mission was to explore the outer solar system, and over the following decade, they did so admirably. With an 8-track tape memory system and onboard computers that are thousands of times weaker than the phone in your pocket, the two spacecraft sent back an immense amount of imagery and information about the four gas giants, Jupiter, Saturn, Uranus, and Neptune. But NASA knew that after the planetary tour was complete, the Voyagers would remain on a trajectory toward interstellar space, having gained enough velocity from Jupiter’s gravity to eventually escape the grasp of the sun. Since they will orbit the Milky Way for the foreseeable future, the Voyagers should carry a message from their maker, NASA scientists decided. And for an update on NASA”s attempts at interstellar communication, check here. As we contemplate co-habitation of the universe, we might send out-of-this-world birthday greetings to Alan B. Shepard; he was born on this date in 1923. 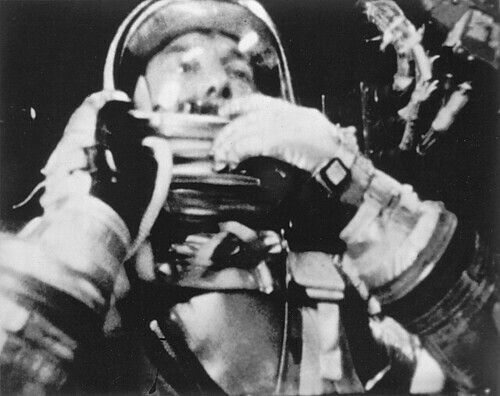 A naval aviator and test pilot, he was selected in the first class of American astronauts, the “Mercury Seven”; in 1961, he piloted the first American manned mission, “Freedom 7,” becoming the first American (and second man, after Yuri Gagarin) into space. Ten years later, he was part of the Apollo 14 crew, piloting the lunar module for Nasa’s third successful moon landing. Historian Christine Garwood writes that the idea that people in the medieval period believed in a flat Earth before Columbus roundly disabused the world of that notion is reductive. Some medieval thinkers realized the truth, and people have persisted in believing in a flat Earth far past the time of Columbus. 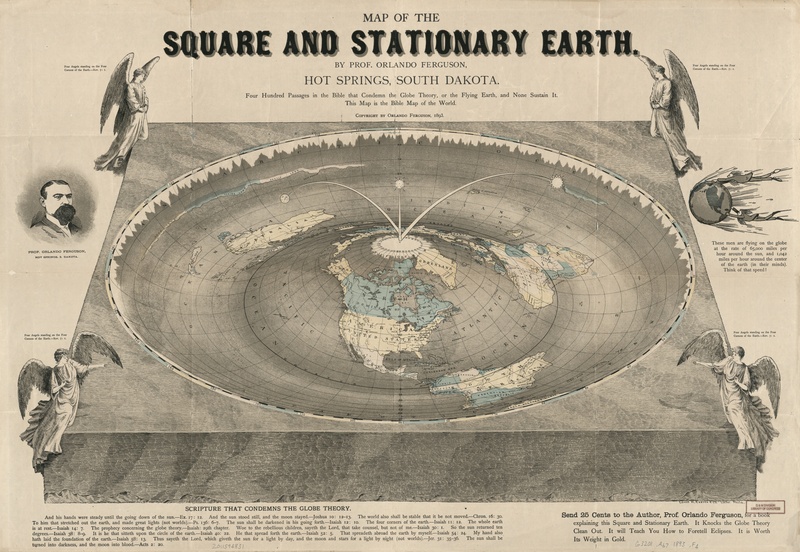 “Flat-earth belief has a chronology far stranger than all the inventions,” she writes. The idea’s resurgence in the 19th century is part of that strangeness. 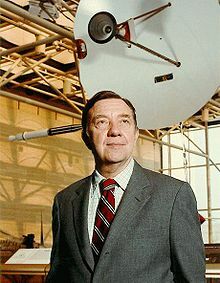 As we contemplate circumnavigation, we might send supersonic birthday greetings to Robert Rowe Gilruth; He was born on this date in 1913. 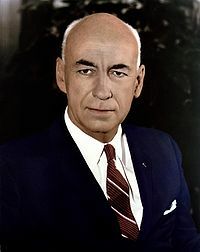 An aerospace scientist and engineer, Gilruth developed the X-1, the first plane to break the sound barrier, then directed NASA’s Project Mercury– via which he enabled John Glenn to become the first American to orbit the Earth– and later, the Apollo and Gemini Programs. At the furthest-most reaches of the observable universe lies one of the most enigmatic mysteries of modern cosmology: the cosmic microwave background (CMB) Cold Spot. The Cold Spot area resides in the constellation Eridanus in the southern galactic hemisphere. 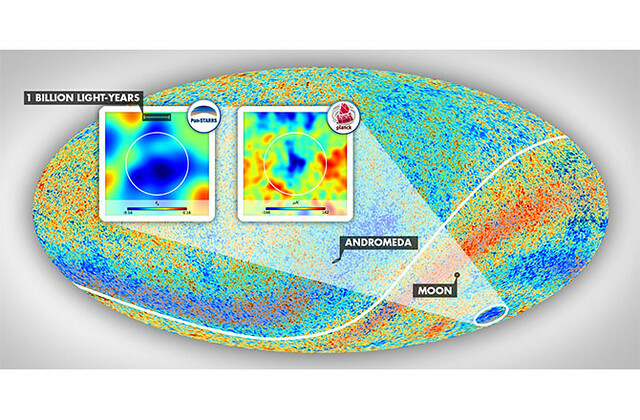 The insets show the environment of this anomalous patch of the sky as mapped using PS1 and WISE data and as observed in the cosmic microwave background temperature data taken by the Planck satellite. The angular diameter of the vast supervoid aligned with the Cold Spot, which exceeds 30 degrees, is marked by the white circles. 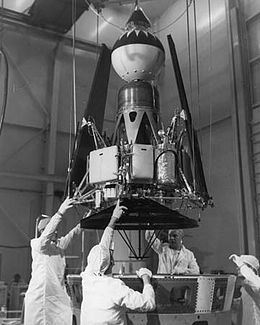 As we boldly go, we might recall that it was on this date in 1962 that NASA launched the Ranger 4, the first U.S. spacecraft to reach another celestial body. Ranger 4 was designed to transmit pictures to Earth and to test the radar-reflectivity of the lunar surface during a period of 10 minutes of flight prior to crashing upon the Moon, “rough-landing” a seismometer capsule as it did. In the event, an onboard computer glitch caused failure of the solar panels and navigation systems; as a result the spacecraft crashed on the far side of the Moon three days after it’s launch without returning any scientific data. Still, the “landing” was a first. Greg Roberts, a retired astronomer and ham radio operator (ZS1BI in Cape Town) has been observing and recording the sounds broadcast by satellites since 1957. 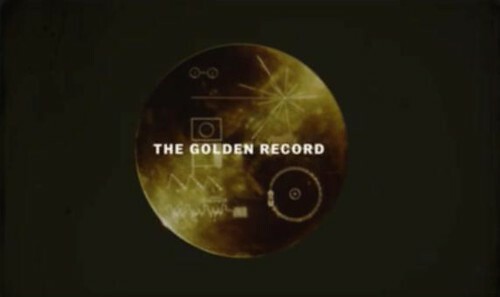 He’s collected his recordings so that one can hear “ideas traveling through space,” for example, Telstar. As we look to the skies, we might recall that it was on this date in 1781 that English astronomer William Herschel detected every schoolboy’s favorite planet, Uranus, in the night sky (though he initially thought it was a comet:; it was the first planet to be discovered with the aid of a telescope. In fact, Uranus had been detected much earlier– but mistaken for a star: the earliest likely observation was by Hipparchos, who in 128BC seems to have recorded the planet as a star for his star catalogue, later incorporated into Ptolemy’s Almagest. The earliest definite sighting was in 1690 when John Flamsteed observed it at least six times, cataloguing it as the star 34 Tauri. Herschel named the planet in honor of his King: Georgium Sidus (George’s Star), an unpopular choice, especially outside England; argument over alternatives ensued. 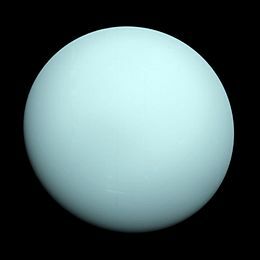 Berlin astronomer Johann Elert Bode came up with the moniker “Uranus,” which was adopted throughout the world’s astronomical community by 1850. Uranus, photographed by Voyager 2 in 1986. What costs more than space exploration? Money that has ‘gone missing’ from the US State Department. Three weeks ago, the office of the Inspector General of the US State Department sent a memo to the Under Secretary of State for Management and the Assistant Secretary for Administration noting that it had identified “contracts with a total value of more than $6 billion in which contract files were incomplete or could not be located at all.” As an example of how that $6 billion figure was reached, the memo notes that “a recent OIG audit of the closeout process for contracts supporting the U.S. Mission in Iraq revealed that contracting officials were unable to provide 33 of 115 contract files requested in accordance with the audit sampling plan. The value of the contracts in the 33 missing files totaled $2.1 billion. Forty-eight of the 82 contract files received did not contain all of the documentation required by [federal accounting regulations].” Now, when I read that and the other examples in this memo, it is unclear to me if this means that the projects meant to be covered by those 33 files were paid for and not done, if they were paid for and done but not cataloged, or something else. The media, though, has widely interpreted this $6 billion as money down the drain, rather than money wisely spent but poorly tracked. Importantly, this $6 billion was lost / mis-catalogued over the course of about 6 years; the missing funds therefore total about 2% of the agency’s spending over those years. What else could we have done with that money? Well, if that money were to somehow show up under the doormat at the US Capitol building in an unmarked envelope with a note of apology, and if Congress were decided to spend it all on space exploration, it would go along way. In fact, the entire President’s Budget Request for NASA’s Science Mission Directorate—the part of NASA that covers all of its active and developing science missions—for fiscal year 2015 is less than $5.2 billion. What costs more than space exploration? Unused gift cards. According to financial consulting firm CEB TowerGroup, Americans let an estimated total of $1.8 billion in giftcards go to waste in 2012. Lots of Americans give and receive gift cards (also according to TowerGroup, the American gift card economy is larger than the GDP of 136 different nations), and some of those gift cards get lost, are thrown out, or expire. If this total sounds high, it’s worth noting that it’s actually much lower than the waste levels observed in previous years, thanks to the CARD Act: between 2005 and 2011, a total of $41 billion in giftcards was wasted, for a rough average of $5.85 billion per year. In October 2012, SpaceX launched the first of twelve commercially-operated cargo resupply flights to the International Space Station. A Dragon capsule, built by SpaceX, launched onboard a Falcon 9 rocket, also built by SpaceX, and rendezvoused with the Station before being grappled by ISS’s robotic arm and berthed. In total, the Dragon capsule delivered about 900 pounds of useful supplies to the crew of the station (nearly 2,000 pounds, if you count all of the packaging); two and a half weeks later, Dragon returned to Earth carrying a different 800 or so pounds of returning payloads and equipment. It total, SpaceX’s contract for those twelve flights will cost NASA and the US tax payer $1.6 billion. More at Things That Cost More Than Space Exploration. 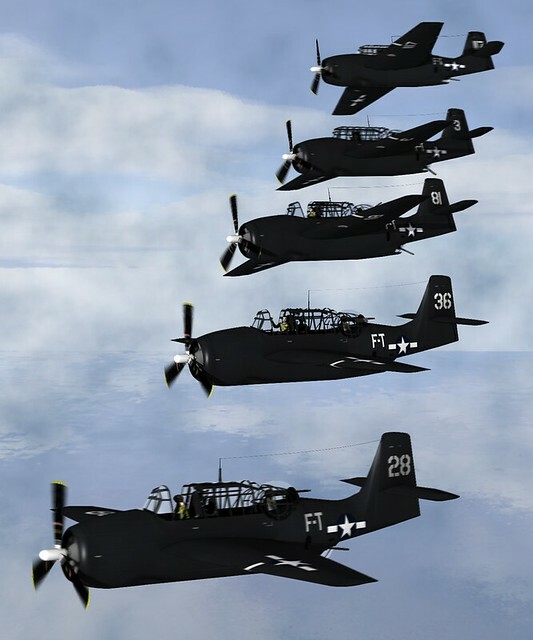 As we raise our eyes to the stars, we might recall that it was on this date in 1945 that five U.S. Navy Avenger torpedo-bombers– Flight 19– took off from the Ft. Lauderdale Naval Air Station in Florida on a routine three-hour training mission. Their course was plotted to take them due east for 120 miles, north for 73 miles, and then back over a final 120-mile leg that would return them to the naval base. They never returned. Two hours after the flight began, the leader of the squadron, who had been flying in the area for more than six months, reported that his compass and back-up compass had both failed– as had those on all of the other planes in his flight, and that their position was unknown. After two more hours of confused messages from the fliers, a distorted radio transmission from the squadron leader was heard, apparently calling for his men to prepare to ditch their aircraft simultaneously due to lack of fuel. By this time, several land radar stations finally determined that Flight 19 was somewhere north of the Bahamas and east of the Florida coast, and a search and rescue Mariner aircraft took off with a 13-man crew. Three minutes later, the Mariner aircraft radioed to its home base that its mission was underway. The Mariner was never heard from again. Artist’s depiction of the five TBM Avengers that disappeared.